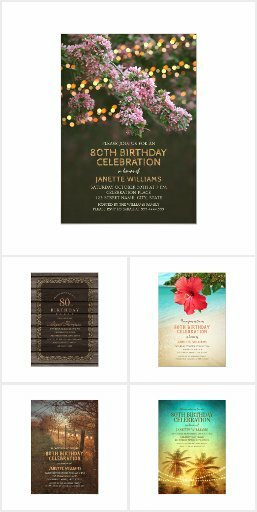 Elegant Adult 80th Birthday Party Invitations - Cool Black White Gold Invite Templates | Personalized Online! Elegant Adult 80th Birthday Party Invitations – Cool Black White Gold Invites. Unique custom 80th birthday party invitations. Feature a faux gold frame and glitter creative stylish typography on a chic chalkboard background. The text says: Eat, Drink and Celebrate Name 80th Birthday”. Perfect invite for any birthday celebration cool, fun and a little funny. This birthday party invitation is fully personalized. Just add your birthday party details (including age). You can also order a single sample.